Featuring a chain-link time display and double-axis tourbillon. Part of the Concepts d’Exception collection of complications, the latest from Hautlence has a rather unusual name as well as with unusual features, namely a bi-axial tourbillon and an almost panoramic sapphire crystal case. 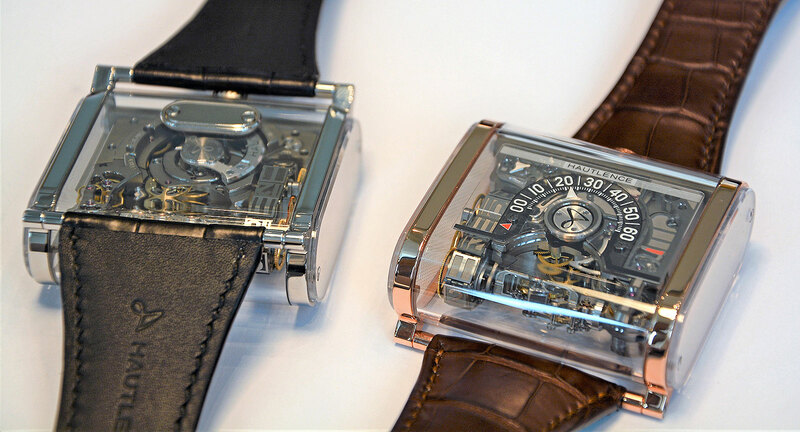 The Moebius is equipped with a tweaked version of the familiar HL2.0 movement that was already incorporated inside various Hautlence watches such as the Vortex. 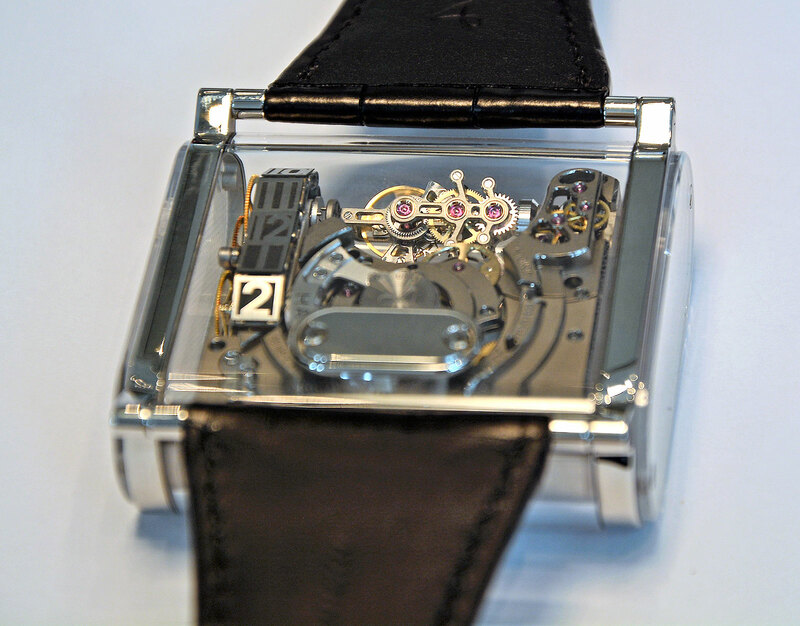 The movement consists of 482 components and boasts several technically interesting characteristics. It has a large retrograde minutes display in the centre, power reserve on the right of the dial and the chain-link hours on the left. Just like the case, the minute sub-dial is made of sapphire crystal with markings for the minutes. The minute hand is rhodium-plated and painted with Super-Luminova to ensure night-time legibility. The first complication is the mechanism for displaying the hours with a 12-link chain on the left-hand side of the movement. At the top of every hour, the chain is pulled upwards and moves by one link, going from one hour to the next. A regulator mechanism, which sits under a cap featuring the Hautlence logo in the centre of the retrograde minutes, ensures a flawless transition of the hours, which takes around three to four seconds. The regulator completes 48 high-speed rotations each time the chain transitions to the next hour. Furthermore, the Moebius features a bi-axial tourbillon placed at six o’clock that is linked to the chain display. 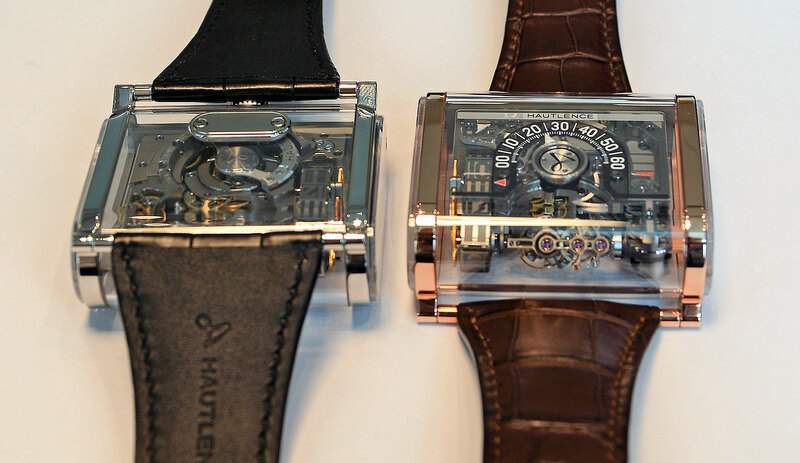 The tourbillon makes four complete revolutions every 24 hours, turning like a barbeque spit. 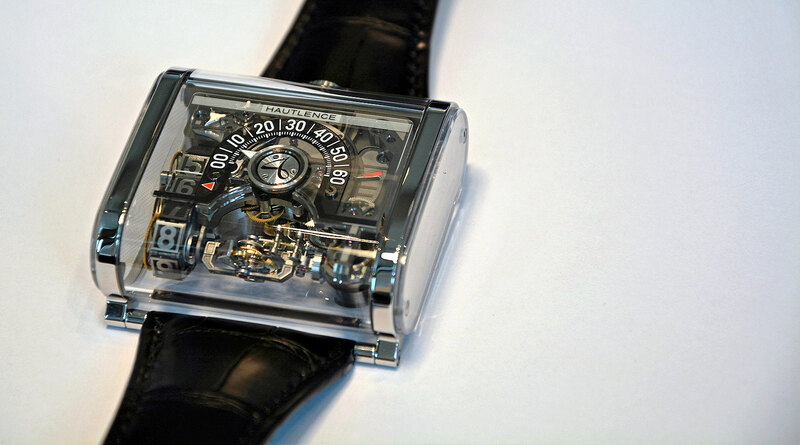 The movement is self-winding and has a power reserve of 40 hours, while running at 21,600 vibrations per hour. Two barrels each power the time and complications separately, allowing the complications to function without impairing the accuracy of timekeeping. The complexity of the movement makes the sapphire case a necessity. 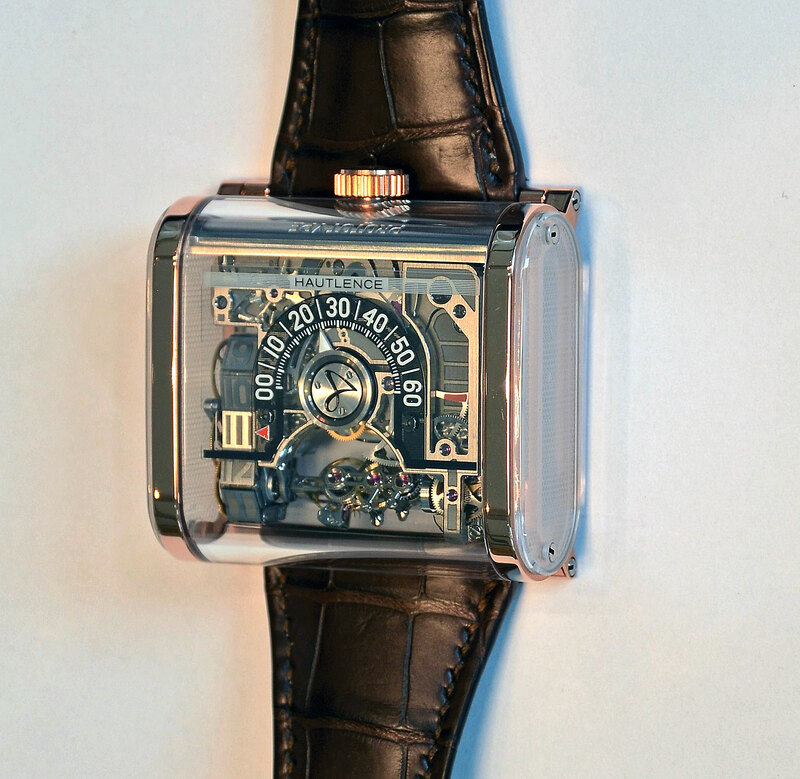 The see-through case gives this watch a technical look and feel. The case, essentially a tube of sapphire crystal with sapphire caps on each side, allows the wearer a view of from various angles. The Moebius is large, being 52mm wide, 50mm long, and 18mm high. These measurements may prevent the watch from fitting under any cuff, but then again, a watch like the Moebius is not meant to be hidden. The polished case borders and lugs are available in either in 18k white or red gold. The side windows, also crafted from sapphire crystal, are finished with a honeycomb motif. The Moebius is fitted to a Louisiana alligator strap with a folding clasp made of titanium. It’s available in either white or 18k red gold, with each version limited to eight pieces and priced at SFr240,000.